Paxton Access Inc. is a global brand of IP access control and door systems, with 30 years' industry experience. Paxton Access Inc. is well positioned to provide both the installer and the end-user with innovative access control solutions to make their lives easier. 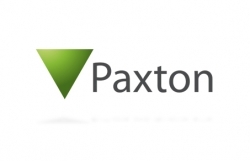 Paxton offer a vast product range including IP, wireless and battery powered access control solutions to provide reliable security for any site requirement. The company pay exceptional attention to the development of high quality products and customer care, ensuring they consistently bring advanced solutions to market. Paxton build systems that are easy to configure, install and implement and every product is backed by a no quibble five year warranty and total customer support.